Kitchens are one of the most versatile rooms in your home. If your kitchen isn’t well-designed, it can feel like a constant hindrance to you daily. 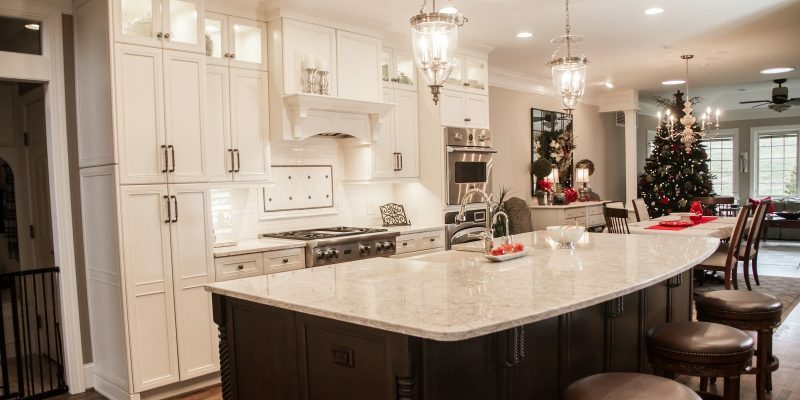 A great kitchen is ready to help you prepare for your day or to cook an amazing holiday meal for friends and family. Here at The Ewing Companies, we have a long history of designing and building great kitchens. One major upgrade you can make to any kitchen–whether you’re remodeling or building new–is the lighting. Great lighting is as helpful as it is welcoming. Done correctly, lighting can work with you to create a highly useful and inviting space, ready for years to come. From versatile and welcoming overhead lighting to under cabinet solutions, you have a plethora of options that can accommodate your needs. 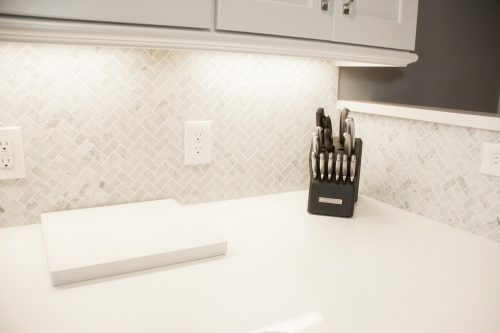 Under-cabinet lighting takes your prep and counter space to the next level –no matter if you’re prepping meats and chopping vegetables for dinner, or simply making a cup of coffee in the morning. Having that extra illumination can really make a difference at any time of day! As you select the details and finishes for your home, lighting makes a world of difference in all your spaces. Planning a high-quality lighting design in a kitchen helps us create a space that you’ll want to spend time in for years to come. 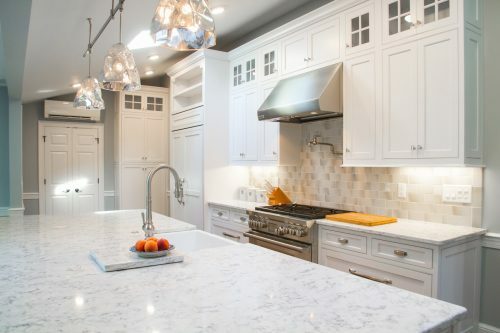 Whether you’re building your dream kitchen from scratch or need a remodel, get in touch today! Our amazing designer is ready to help you with all your remodeling or new construction needs.